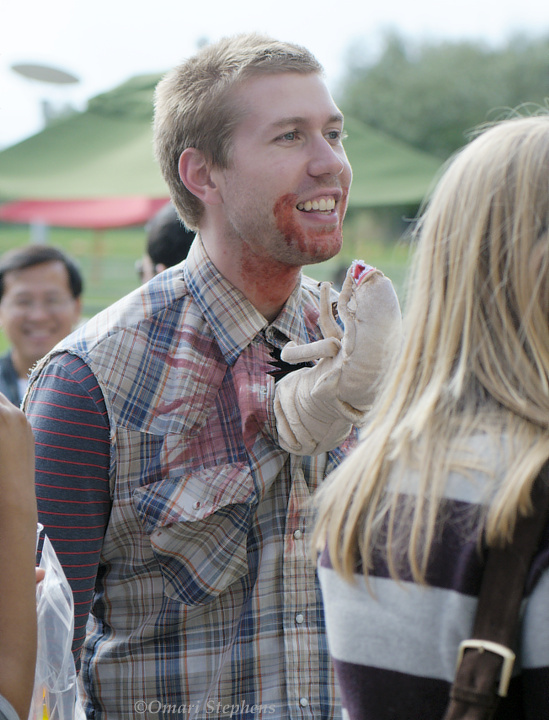 Much like other places around the country, it was recently Halloween at Google. 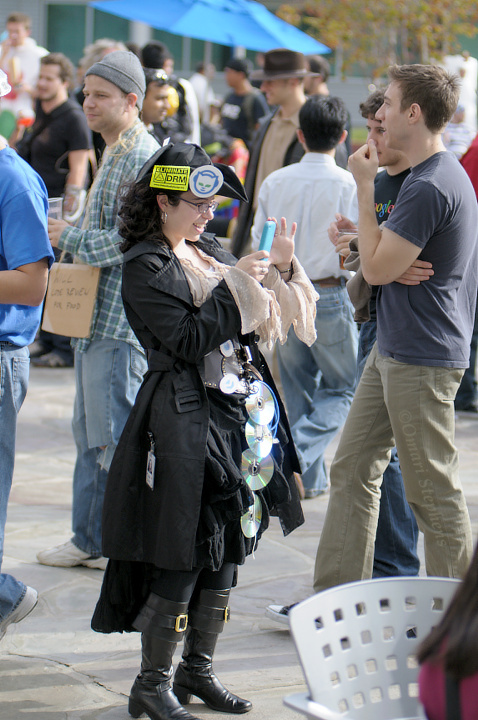 I dressed up as a photographer — I wore my two bodies as well as my Tech photo hat. But other Googlers who are less lame than I devised costumes which were, in many cases, pretty awesome. A costume party supplanted the normal TGIF festivities, and given that I was pretending to be a photographer, I went ahead and pretended to take some photos. Fortunately, despite my pretense, I think I managed to capture the costumes and their wearers in a way that conveys why I enjoyed the costumes, and indeed the entire event, so much. As there are more photos than usual, I'll be writing less text for each one. And since this post is more about the costumes, I'll be leaving off the exposure details. Have fun! I have no idea if these three were together on purpose or not, but this is just a mind-blowing set of juxtapositions. 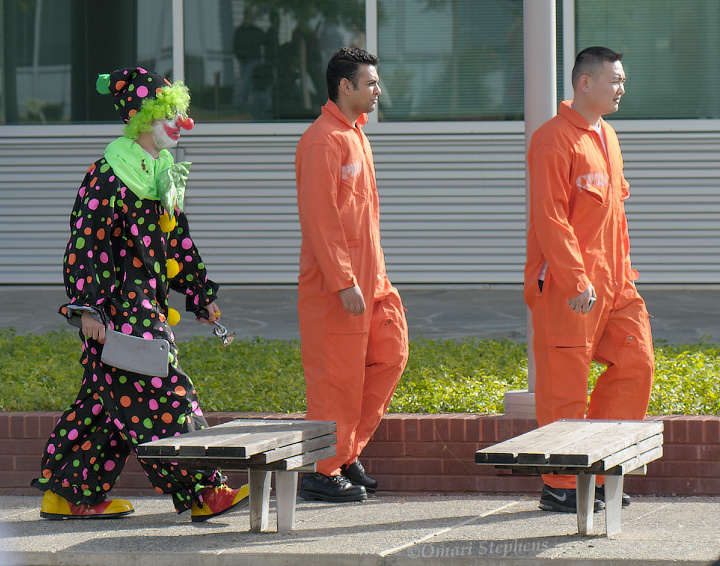 When I look at this photo, I subconsciously think up dozens of stories about why this situation might be perfectly normal ("Oh, what if the clown were also a convict, but they let him keep his clothes because he made the guards laugh?"). Of course, all of the stories I make up are completely ridiculous, but that's part of the fun of it. 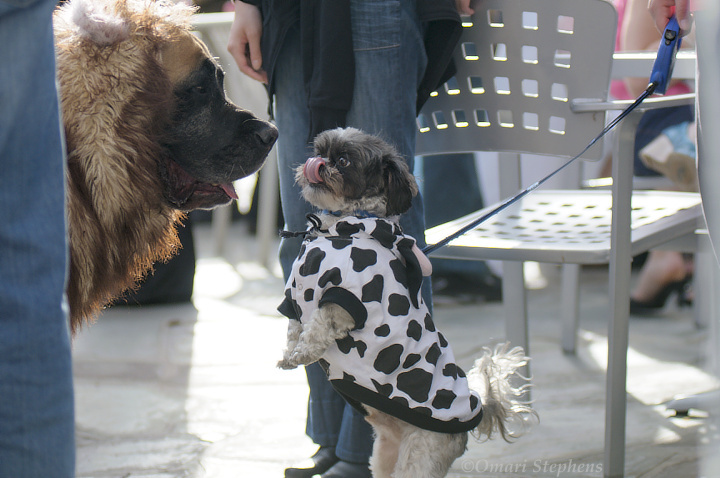 Google is a self-proclaimed dog company, but it's not until Halloween rolls around that you discover Googlers' affinity for lazy lions (left), tiny cows with oddly-placed horns (right), and other interesting animals (forthcoming). 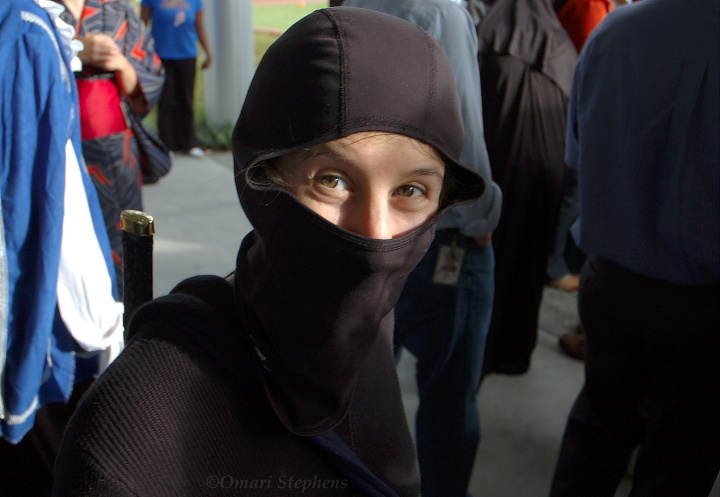 While she didn't quite approach without moving, I was nonetheless surprised to discover the existence of ninjas who attire themselves in things which aren't cleverly-worn shirts. This quick diversion is for my mom. You see, Mom is always concerned that I don't eat enough greens, and that I don't like salads. I've repeatedly tried to quell her concerns, but to no avail. As they sometimes say though, a word is approximately equivalent to 1 millipicture. So here you go, Mom. 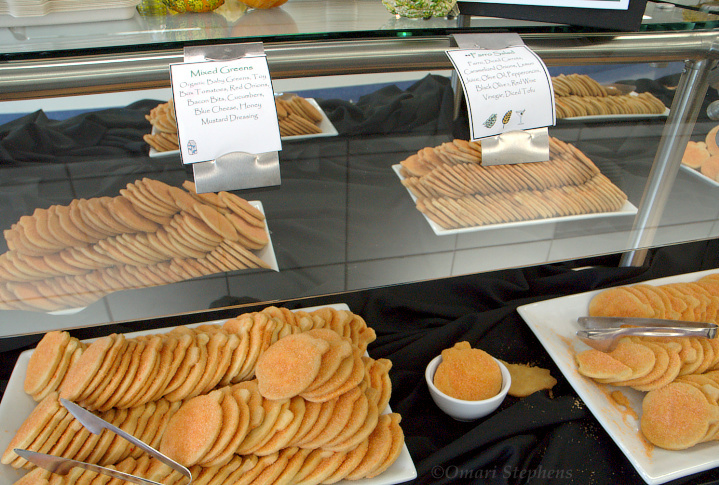 Pictorial evidence that I eat both "Greens" and "Salad." If this doesn't convince you, I don't know what will. Here's another glimpse at the creatures which emerge on the 31st of October. Now, I don't speak Japanese, but by closely studying the relevant materials, I think it's reasonable to assume that Domo-kun is watching this bee's technique in an eager attempt to learn to fly (see the aforementioned relevant materials, starting at 1:25). The folks walking by are just a distraction. 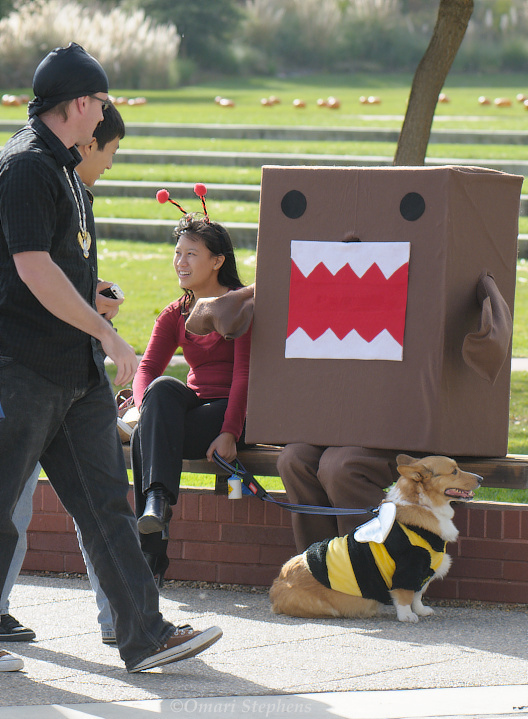 Unfortunately, what Domo-kun doesn't realize is that the bee landed, rather than falling and missing the ground completely, which is the proper technique to achieve true flight. 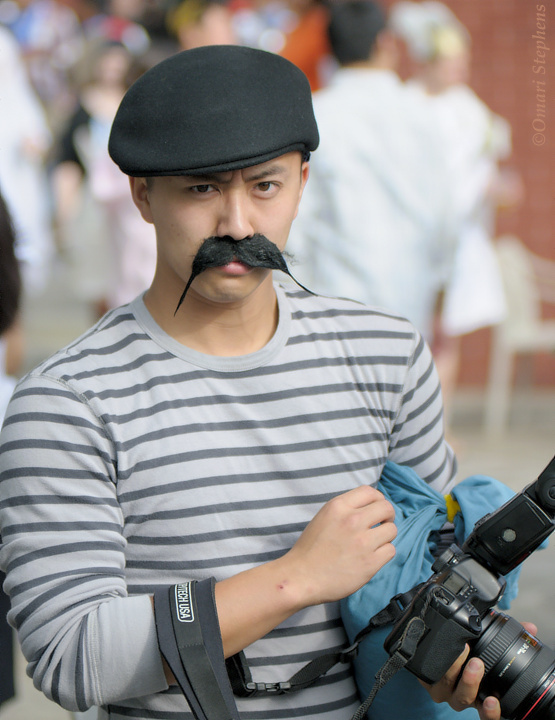 Clearly, I wasn't the only one who dressed up as a photographer. This guy did a better job of it than I did, however. I believe I managed to catch this right when he saw me, but before he had a chance to react. The devil clearly loves his technology; who knew? 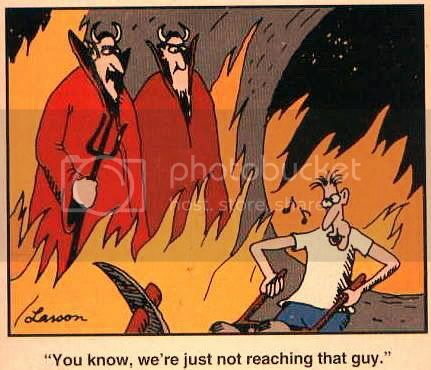 Of course, my previous mental images of the devil came from Sinfest and The Far Side, so one might imagine those weren't based in reality, or something. Awesome. And, of course, there's only one comment that's appropriate for a costume like this: "Maybe you haven't been keeping up on current events, but we just got our asses kicked, pal!" If you've never seen Alien or Aliens, you should. And in the meanwhile, here are some quotes. 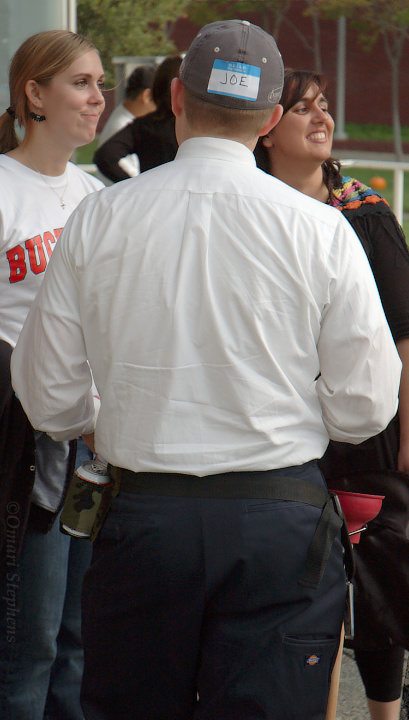 A couple folks dressed up as Joe the Plumber. 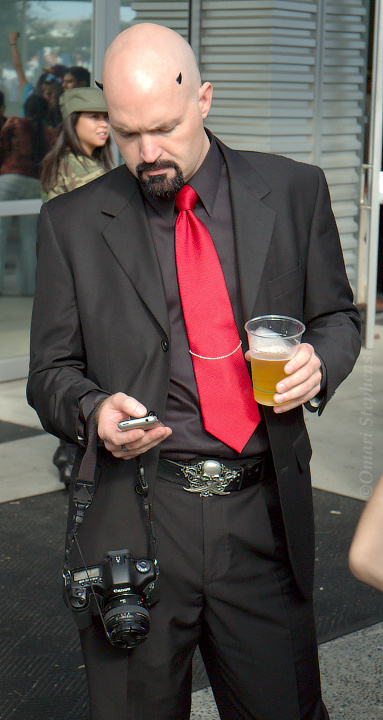 I especially like this incarnation, however, because of his plunger-holster and double-beer holster: like a boy scout, he's ready for anything. And the Dickies work pants add a nice touch. I'm not really sure what to say about this one; it's just an awesome moment. 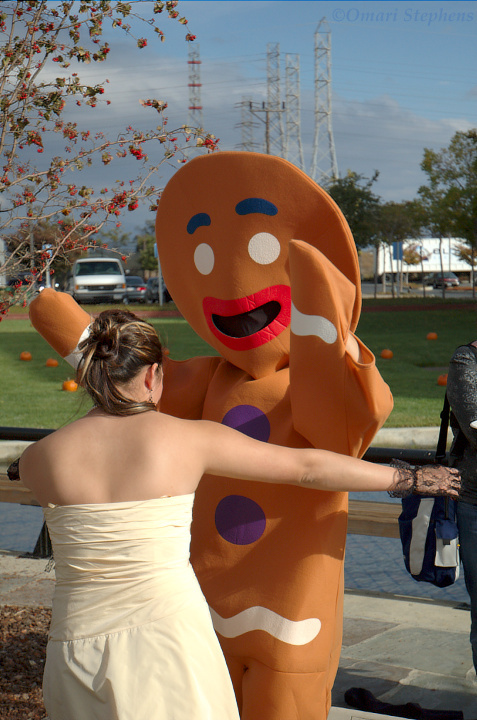 I have no idea why they were excited to see each other, but the situation really matches that gingerbread man's expression (which is good because I doubt he can frown very easily). Aah, piracy. I think it's fit to mention this clip from Italian Job. It's "likely" that the clip isn't online legally, so that fits the piracy bill. Also, the guy with the camera calls himself The Napster, holding that he wrote the software of the same name. Earlier in the movie, he claims "[Shawn Fanning] said he called it Napster because of his nappy hairstyle; it's not true. It's because he took it from me while I was napping!" 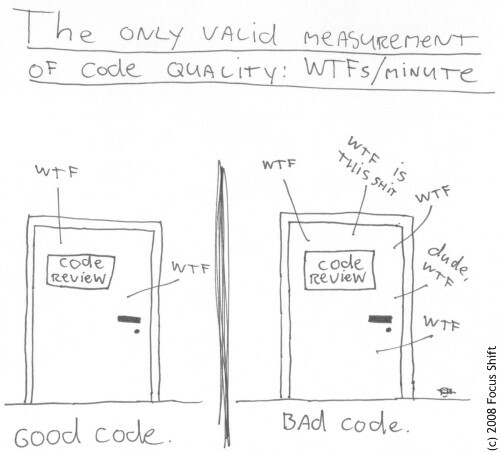 The "Will Code Review For Food" guy looks pretty convincing as well.